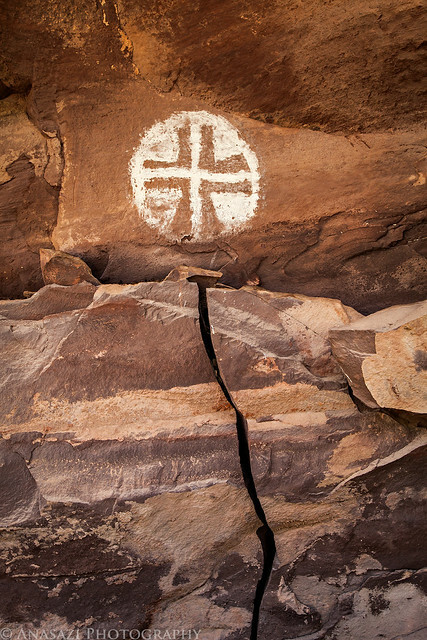 While searching a small and almost inaccessible canyon in the Needles District of Canyonlands National Park a few weeks ago, I came across this bright white pictograph that really stood out and was well-preserved. I’ve not run across another design like this before. I really like how the crack in the sandstone below the pictograph kind of leads right up to it.